The Galibier Campionissimo II Luxury Mitts harken back to the era of Fausto Coppi, classic styling matched with first-rate materials and construction. They will fit like – ahem – a glove, for many thousands of miles of fair-weather smiles. Cycling gloves, like shoes and helmets, are a very personal preference. There's no right or wrong way to do them, just what fits and feels right for you, and where/when you are riding. The Campionissimo mitt definitely errs towards warmer weather, with hundreds of holes, the back of the hand and each knuckle bare to aid ventilation. That said, if you run warm you may find them more than a fair-weather item. Size-wise, my 220mm knuckle circumference pointed to being mid-range in Large, but they felt too tight between my fingers and the XL were a better fit – so consider sizing up. The XL range is 220-235mm, so there's a fair bit of play in the sizings. The feel once on is indeed 'luxury'. The naturally dyed goatskin leather is supple and soft, and after a few rides begins to take on the natural profile of your hands. I imagine that, like a good leather shoe or watchstrap, they will only fit better over time, unlike a synthetic which tends to stay the dimensions it starts out as. The padding under the palm is a walnut brown colour, and is pretty much spot on for thickness without getting in the way of feel on the bars or hoods. Over the back of the hand there's a double snap closure, and a large bare area to aid sweat loss. What there is not, is a nose/sweat-wiping pad – this is far too classy a garment for that sort of thing. They pull off inside-out easily, again aided by the suppleness of the leather. From the first ride, the fit was exemplary, nothing feeling amiss under braking, shifting, on the tops or in the drops. For someone with poor circulation I found them to be surprisingly warm in low autumn/spring temperatures, and are easily covered by a shell windproof glove when needed without feeling bulky. I can't comment on how they will feel in the heat of midsummer, but I imagine the answer will be 'just fine'. Value is excellent: it's early in the year for fingerless mitts, but the last seven tested on road.cc are more expensive. For classic looking gloves, Caratti's leather-palmed Brooklands are £20, while Rapha's are £70. If you like the look, and you're after a glove that will most likely outlast your bike, the Galibier Campionissimo II Luxury Mitt is an excellent shout. 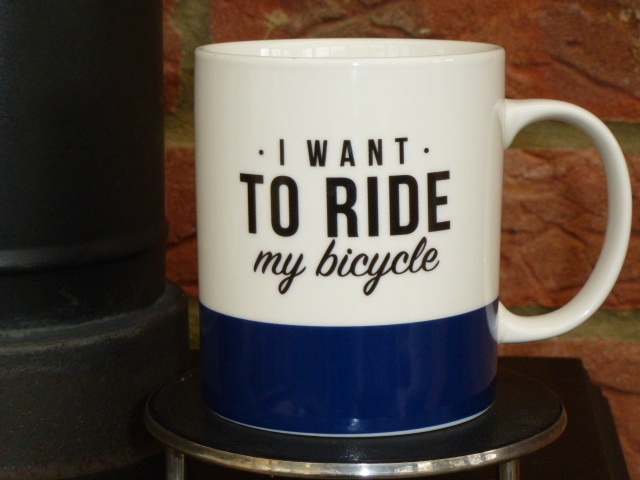 It's for cyclists wanting a classic-design product that really delivers. Galibier says: "Our new cycling glove embraces both traditional imagery, contemporary design and ergonomic construction. "Our second Generation Campionissimo has retaining the classic styling but with upgraded leather and refined stitching to make it even more durable. "Smooth, vented style. We produced our finest leather cycling glove in honour of the champion of champions. In winning the Giro di Lombardia five times he made it his own, but even as a light climber, to win over the pave of Paris–Roubaix, proved how deserving of champion status he was. "Our second Generation Campionissimo has retained the classic styling but with upgraded leather and refined stitching to make them even more durable. "The leather will bond to your hand after a few rides and become unique to the wearer. Once matched they will be your new favourite thing. The palm is lightly padded by adding an extra layer of walnut brown leather. The Campionissimo's rear leather is gently perforated with large knuckle holes to assist with ventilation. The naturally dyed cream hide is Goatskin, often referred to as nature's strongest leather. It has very high tensile-strength and abrasion-resistant properties, but has excellent softness, supple motion and is lightweight." The quality of the material and stitching is top-notch. They are perfectly weighted to provide cushioning alongside tactile feel, on the bars and hoods alike. There's no hint of squirming under grip. Given the construction and materials, I imagine they will last many years. In my case, the finger webbing felt tight so I went a size larger. I had to go larger than you'd think to get a good fit. That may be down to my personal hand shape, though. With so many holes, it's hardly surprising they feel pretty light for a padded leather glove. Supremely comfy. As you'd expect from the softest leather. At £25 for a stylish, well-built glove of classic design, they're well worth the money. They're only meant to be lightly sponged. Once the fit was sorted, nothing. At £25 for a full leather mitt they are cracking value – other firms sell suede and synthetic mitts for that price. I think for the quality, design, fit and all-leather material on offer, these are great value. Maybe only made better by attention to sizing, but that might just be my weird hands. These are an absolute bargain. I've had mine for a couple of years and they are superb. Mine are in their third year, still flying. On the companies facebook page they said they bringing a new Black leather mitt so waiting to go for them. Do leather gloves not feel horrible when sweaty? Can't imagine what temperature range you'd wear these in, or what scenario synthetic materials wouldn't perform better?